As a child, I found marriage confusing. I lived with each of my parents half of the time and saw them happily married to step-parents I loved. But my life had been revised by divorce, and I wondered, Why do people get married at all? By sixteen, I vowed that, rather than risk a split, I’d skip marriage. By twenty, I was a wife. What changed? The Lord tenderly showed me that my life was not my own—not a thing I was meant to fumble with, trying this and that in the desperate hope that something might span the chasm at my feet. Marriage was not our idea. 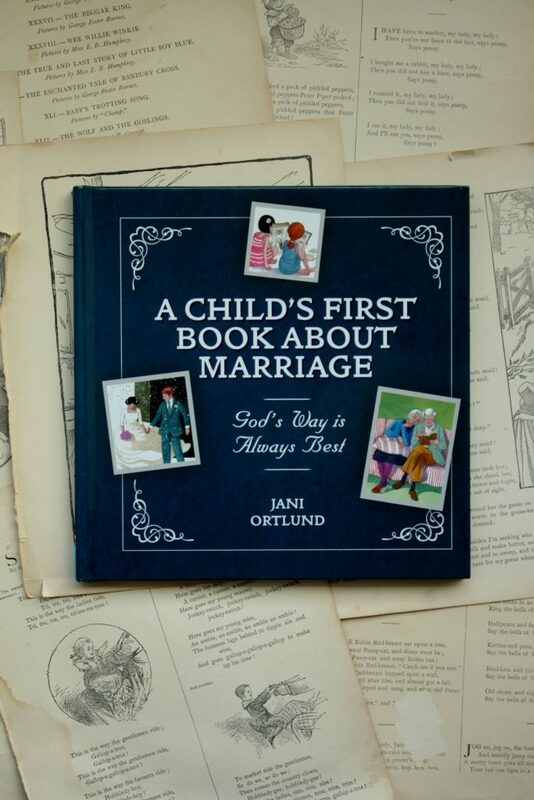 Jani Ortlund picks up this thought and carries it through A Child’s First Book About Marriage. Ever since that first wedding, people have been getting married. Just like everything that comes from the heart of God, marriage is beautiful and good. Marriage is about love, but it’s about more than love. Marriage is a vow, a sacred promise. When a man and a woman get married, they promise God that—no matter what—the man will stay with the woman and the woman with the man as long as they both live. A bride and groom make these promises because sometimes it is hard to love each other. 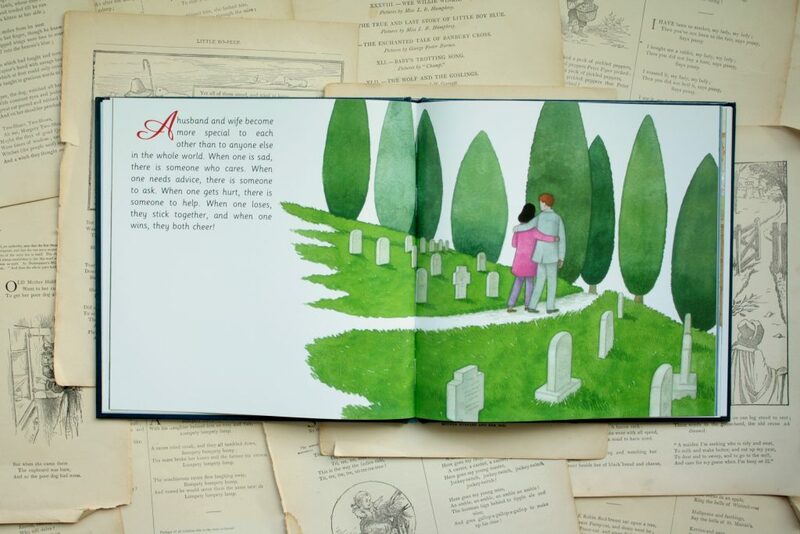 Marriage vows help keep a couple together even when they don’t feel like loving each other. A biblical marriage shows the world a tiny picture for all to see of the Big Romance—the one between Christ and His Church in love together. When you love Jesus, then you are a part of that Church and nothing and no one will ever be able to separate you from God’s love for you. 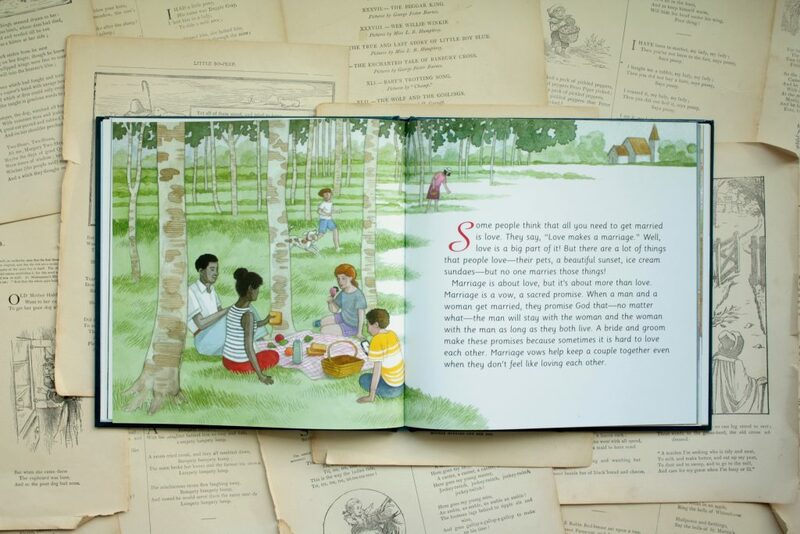 I bought this book on impulse because it was the only book I had ever seen for on marriage for children. But I love how balanced it is, how wise and clear Ortlund’s perspective is. 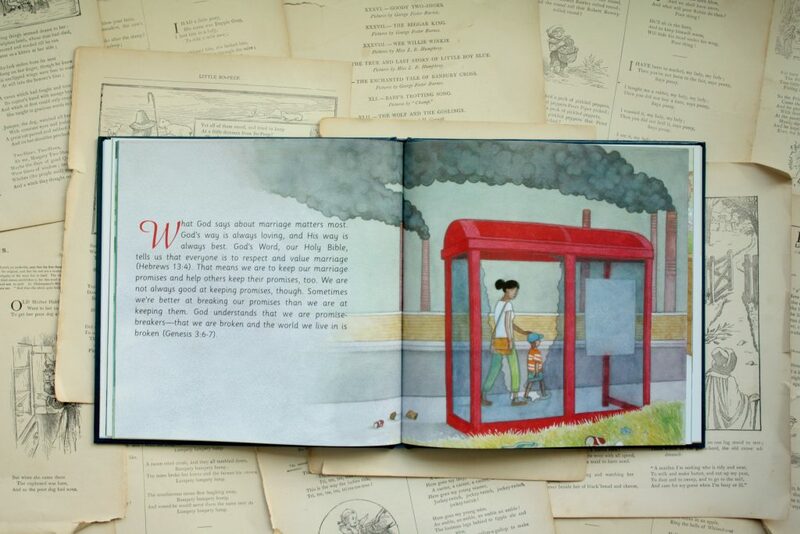 I love Angelo Ruta’s watercolor illustrations, which show families in different configurations, from different backgrounds, and subtly use color and composition to deepen Ortlund’s text. I realize that much our own daughters’ understanding will come from watching us, their parents, live out our marriage before them. We will fumble our way through this, too, but God is here with us, giving us the grace we need to apologize, to forgive, to go on setting the other’s good before our own. 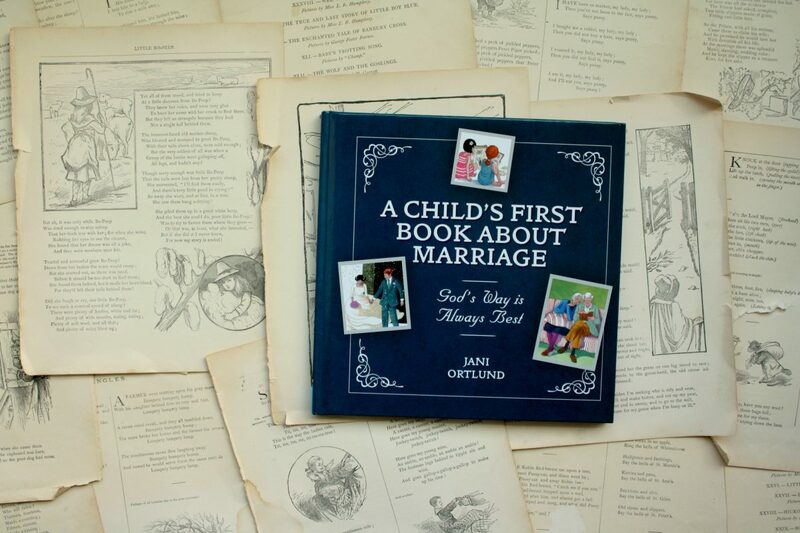 But I am grateful to Jani Ortlund for writing a book that equips us to lift our daughters’ eyes above that one, living example, and see the big picture of marriage: what it is, what it isn’t, Who made it, and why.